Social Farms & Gardens, City of Sanctuary and the Permaculture Association are working together to support and inspire some of the thousands of community growing spaces in the UK to become places of sanctuary for people forced to flee from persecution. A report based on the project's research findings, a series of case studies and a ‘Gardens of Sanctuary Resource Pack’ have now been published. You can download these below. Resource pack - Designed to encourage and support community growing groups to welcome people seeking sanctuary. Case studies - Around the UK there are some fantastic examples of growing spaces led by, and offering opportunities to, people who have been forced to seek sanctuary. These case studies have been documented to share ideas and to encourage more growing spaces to become gardens of sanctuary. Report - Offers a summary of our findings from the case studies, online survey and literature review. 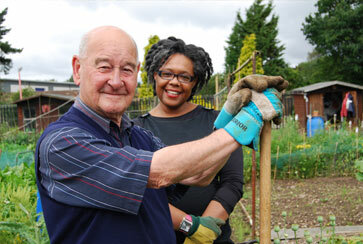 It is designed to support community growing groups and others with funding bids and research projects.